Eye opening, exuberant, unique, were all words Lauren Murphy and Andrew Engram used to describe their recent Rady School immersion trip to Cambodia. Engram and Murphy, along with a team of six students from the Rady School were chosen to support the Cambodian company, Hydro-logic. Hydrologic is working to help provide water filters to those who have little to no access to clean water. During this immersion trip, they got a chance to put everything they have learned at the Rady School into action. The students used their business acumen to find out what challenges Hydro-logic is facing, how the company can increase revenue, and how to help the company discover the best plan of action possible. The trip was extensive, but enjoyable. Getting to travel together as a team, made us closer friends and we enjoyed our time together. We (six of us and Professor Finney), took a shuttle up to LAX, then we took a plane from Los Angeles to Taiwan, which was 14 hours long. After another plane ride and a bus ride later, we finally arrived. When we arrived, our main source of transportation, was a tuk-tuk, which is a small, three wheeled, motorized vehicle. Getting there, took 19 hours total, and when we arrived, we were in immediate culture shock. We realized how much of a developing country this really was, and how much of the country was living in poverty. We were also very excited to begin working on our project as a team, and to do everything we could to help improve the water shortage problem with Hydro-logic. Why were you interested in the Cambodia Immersion Trip? I thought it was a great opportunity to learn more about consulting. Also, knowing how beneficial Professor Finney’s courses have been gave me that extra motivation because he is a great teacher and I wanted to learn from him more on the trip. It was an opportunity to travel internationally, and get in the weeds with different cultures by working in an international environment. This trip was different because it wasn’t so much having an outline of things to get done, but a learning experience to put into action. It was great to understand how rural Cambodians live, and their access to drinking water. The client in Cambodia was trying to improve the livelihood by improving the amount of people who have access to clean water. Professor Finney was also an amazing counselor and guide for the trip. This is by far the best experience I’ve had at Rady. Every second was a learning experience and research. I was grateful to be able to use all I’ve learned and put those thoughts into action, rather than reading a textbook. What did the work consist of? Our tasks included reporting to the social enterprise, Hydro-logic. We learned about their needs and built a relationship with their team. We also got to go into the field and bring interpreters to chat with rural Cambodians who were getting the water piped directly to their homes. About 40 percent of the country gets piped water, and Hydro-logic sells water filters for those who don’t have easy access to clean water. One of Hydro-logic’s goals is to bring social impact, but also increase revenue. We were able to help them do that. Once we understood what we needed to do, we met with the Chief Financial Officer, marketing team and private water operators. We also got to meet with rural customers, how they cleaned and obtained their water, and what they did to drink it. The trip exceeded my expectations, though I didn’t know what to expect. The quality of engagement and work we were able to do, as well as our exposure to a beautiful international culture and building great relationships, made the trip a huge highlight of my time at the Rady School. Yes. Getting positive feedback from the client was wonderful. Seeing the client believe in what we were helping them understand made me feel like all my hard work at the Rady School was paying off. It was good knowing the MBA program can make an impact and have a lot of value. We both gained confidence and were grateful for the courses we have taken. Did the trip change your perspective of doing business in Cambodia? Yes. This trip inspired me to want to work more in an international, complex environment.. I grew a lot professionally and personally. It was such an immersive learning experience and everything I see is now through a filter of what was learned in Cambodia. I hadn’t worked in a country with an emerging market. It was eye opening to see people need things we take for granted on a daily basis. It was also an opportunity to make a difference in the world. What lasting impressions did the culture reveal to you? We explored Siem Reap, a city in northern Cambodia. It was full of aesthetic temples including Angkor Wat. The details, art and decorations were beautiful and breathtaking. Seeing the beauty of Cambodia and its historical city structures inhabited by people, opened our minds and gave us greater context to our work. It helped with our project to take a couple days to rest and process our thoughts and expanded our creativity in greater ways. The food was interesting as there was food from all over Asia in one country. Some of the peculiar foods included bugs, frogs … ants. There was a lot of Thai food, as well as a twist on a kind of noodles and stir fry. Their delicacies, which included tarantulas and scorpions, were very different from America’s. Thank you to Rady Moxie who provided the funds for the trip and, had a stipend for expenses. Thank you to the Center for Social Innovation and Impact for the grant and Professor Finney for taking the time to do this. We want to be an example of what is possible and we think the Rady School should do more of these trips. While we were in Cambodia, the team, with the help of Professor. Finney, was able to help solve revenue challenges, recommend a manual washing machine, improve a system to collect rainwater and analyze how the company could best increase their current product awareness and online presence. The client Hyro-logic, even let Professor Finney know afterwards how impressed the company was with the team and the amount of knowledge they gained from the students. The students would recommend this trip to anyone who can go. They said it was more than another school project, it was a truly life-changing process they will never forget. University Avenue serves as an artery for San Diego proper, connecting more than 11 miles of hyper-local and proud neighborhoods. From the affluent urban district of Mission Hills to the sleepy family-friendly suburban La Mesa, the neighborhoods scattered along University Avenue serve a diverse array of San Diego residents. Smack dab in the middle of the thoroughfare sits City Heights, a longtime haven for refugees from all across the globe. The community of City Heights is as bustling as it is diverse – a large number of local businesses launched and supported by refugees from Middle Eastern, Northeast African, Southeast Asian and Latin American origin. The community is proud of its global roots, celebrating the varying backgrounds and cultures. The vitality and pride of the City Heights neighborhood inspired resident and Rady School of Management graduate David Tran (MBA ’15) to create a hub for the community to gather, while catering to the local interests and tastes. Along with his wife Sterling Tran and colleague Lonny Cheuk, City Heights Coffee House was born – a multi-cultural space for residents to gather over a cup of coffee or tea sourced from the countries that make up the neighborhood. City Heights Coffee House sits right in the center of University Avenue surrounded by local businesses and nonprofit organizations – from Vietnamese, Somali, and Ethiopian restaurants to Lao, Mexican, and Ugandan community centers – all interspersed – and just a stone’s throw away from organizations that assist refugee resettlement and integration. The complex ecosystem comprised of low-income households, challenges with affordable housing, gentrification, and a diverse population inspired Tran and his partners to create a social enterprise that focuses on workforce development. 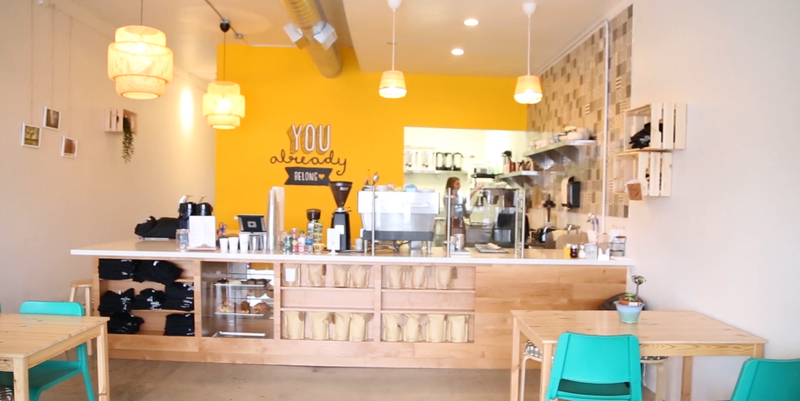 City Heights Coffee House offers jobs to opportunity youth in San Diego, including refugee and justice-involved youth. Opportunity youth are classified as youth between ages 16-24 who don’t have a job and aren’t in school. A crucial element of the Life Development Program is to provide on-the-job retail training, basic skills such as budgeting and managing a schedule, conflict-resolution tools, and career development courses such as resume and job-search prep. Over 41,000 youth in San Diego face barriers to employment opportunities (or lack thereof) and lack support structures to identify and perform successfully in education. The mission of City Heights Coffee House isn’t solely to provide a quality cup of coffee – it extends a hand to the community, offering jobs to underserved youth. Through job training and providing career and personal development opportunities, Tran and his team are dedicated to paving the way for their youth to succeed. A longtime resident of City Heights, Tran was inspired to create a space after noticing a need in the community. 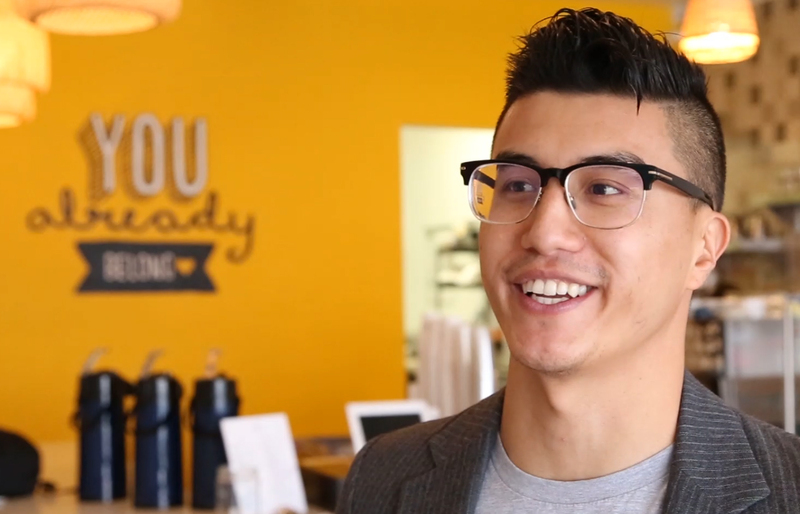 With an idea in place, Tran decided to attend the Rady School to gain the business acumen to create and launch his dream – a community hub that helped local refugees and at-risk residents obtain marketable skills and knowledge to succeed in the workplace and community. Taking an idea and transforming it into a functioning business is no easy undertaking, but with the skills and tools Tran developed during his MBA, he was able to create a functioning business prototype before crossing the Commencement stage. Since 2015, City Heights Coffee House has continued to grow, moving from a Farmers Market stand to a small cart behind a thrift store to now a storefront on one on San Diego’s most popular streets. The new space has been conducive to providing a hub for the community to gather, hosting mental health discussions, cultural celebrations, art shows, open mics, and local council meetings. Sitting in the shop with a cup of coffee (sourced from Ethiopia – a large population of Ethiopian residents reside in City Heights), the energy is palpable. Local residents filter in and out throughout our conversation, admiring the local art on the wall while waiting for coffee prepared by college students who live in the area. One barista, Betel Mulugheta from Eritrea, is eager to share how City Heights Coffee House has helped her in her career. 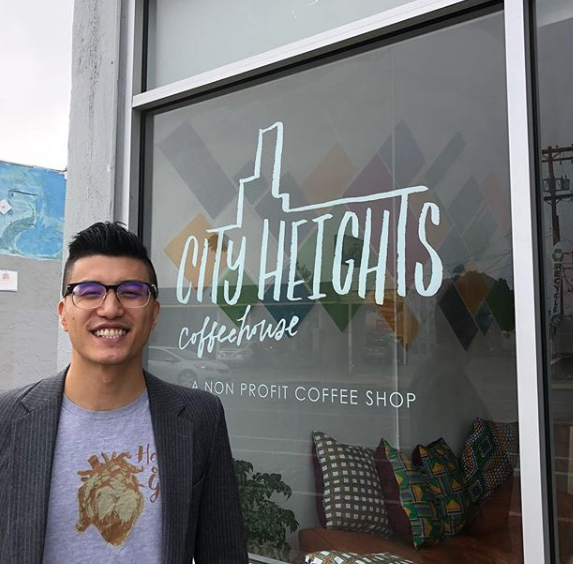 Mulugheta’s testimony brings a smile to Tran’s face – seeing his team’s goals for the business and community materialize in real time only reinforces why City Heights Coffee House was created in the first place. This was the question I asked a friend who was part of the inaugural Israel Immersion Program in December 2012. My Flex Evening 2014 (FE14) cohort was very fortunate to have had the opportunity to not only be part of the first-ever US-Israel Center (USIC) Immersion Program, but to be given that same opportunity again the following year right before we graduated. I’ve always admired classmates who find the balance between the rigorous demands of school while maintaining a full-time job, all the while never neglecting to squeeze in some fun and participating in various Rady activities in the process. I’ve never been one of those people, save for the occasional Home Plate shenanigans before, during, and after class. Somehow, however, I’ve always known that applying in the Israel Immersion Program was something I was going to try at some point in my life. And five years after taking my last final exam at Rady, here I am telling you all about the experience. Learning that I was accepted in the USIC Immersion Program gave me the same ecstatic feeling I had when I found out I was going to be part of Rady’s FE14 cohort – so much so that after being assigned Startup Nation as a required reading for the trip, I’ve pre-immersed myself in various other books about Israel: Our Man in Damascus, Rise and Kill First, Son of Hamas, Israel: An Introduction, and Mossad. After the first briefing, I began hiking again to prepare for Masada. I may have gone overboard when I also started binge-watching Fauda, Mossad 101, and Hostages on Netflix. In doing so, I even managed to pick up a few Hebrew words. Finally, to obtain a more balanced perspective on the Israel-Palestine conflict, I borrowed the documentary 5 Broken Cameras from the library, which I made an effort to watch the evening before my flight. My fascination with the country has a lot to do with being raised Catholic. It’s always been a dream of mine to do a pilgrimage in Israel and visit all the Christian sites in order to walk the same path as Jesus did. As I grew older, however, my curiosity turned into the country’s sophisticated national security and full-on espionage stratagem. Now that I am pursuing a career in Health Information Technology, my interest in Israel has evolved into knowing more about its high-tech industry and how it can be leveraged for the greater good. Simply put, Israel contains the trifecta of my favorite things: Tech + Jesus and a splash of the Mossad. Call me biased, but even our TAs said that FE14 was one of the best and most fun-loving cohorts Rady has ever had, so I was a bit skeptical when I found out none of my contemporaries would be part of the trip. After the first mandatory class, I knew that it might be asking a lot to find more Amy Gundersons or Matt Archers to spice up the immersion experience, especially since five years after graduation, this bunch is definitely going to be a lot younger than I am. Besides, the trip was only a week long, so I had no high hopes of meeting a new set of Gossip Girls to spend future milestones with. But as with any startup success story, my trip began serendipitously. My proclivity for isolation has brought me to sit with Dipixa at lunch for the first meet and greet, and Ben during the Israel welcome dinner. It’s amazing how both of these unconscious decisions, driven mostly by my preference for more intimate social interactions, determined how fulfilling this trip would be. I don’t think I would have enjoyed the program as much had I not spent time gallivanting with these like-minded souls. Dipixa said it best when she wrote that the most memorable part of the trip were the people. From sharing deep, dark secrets with the Assistant Dean, Christie, and Robert; bumming a drag from Diego and Erez; recognizing Leandro (the map) from Mauro (and failing to be his wingwoman); pulling a prank on Chris; embarrassing El Bryan, the El Presidente on Venmo with his BTP moment; rooming with Olesia and admiring her courageous travels; sitting on benches with Daniel; exchanging photos with Felix; singing Coldplay with Sahil; giving Jaden his third official call sign; harassing Sean in his bathrobe; working out with Katy; figuring out that Valerie IS Janzino; woman-crushing on Mimi; speaking Italian to Mauricio; singing happy birthday to Lijun; taking photos of Ming, the self-designated photographer; praying at Holy Sepulchre with Shashita; doing what I do best and making Jasleen, Juliana, and Rumpa a wee bit uncomfortable; spending long walks and heart-to-heart talks with Ben and Dipixa; and adoring Ayelet even more than I already did. When I was still in business school, corporate social responsibility was a “nice-to-have” when we evaluated companies. With the Israeli startups we visited, I was very pleased to learn that the social aspect was actually what a lot of the business models were based upon. Furthermore, this new set of Rady MBA candidates I went on the trip with always challenged the speakers with how the startups plan on giving back to society. The two companies that are near and dear to my heart are BKind and Brainsway. As a Diversity and Inclusion Champion at work, I find BKind’s pay-it-forward gesture of spreading kindness as a way to be inclusive. Often times, people know to focus on diversity, but they overlook inclusion. BKind, in its own way of spreading kindness around the world in a tactile manner, eradicates our propensity to hide behind our screens. And with Brainsway, helping people achieve mental health is a fundamental initiative I will always want to be a part of any day. The pride that each speaker exuded as they explained how Israel is a startup nation was infective. Each provided different flavors of what it meant to them and their companies to be a startup nation. As for the overall Israel vibe, the cities were alive, no matter what time of day or night. Despite the negative news coverage we get stateside, I found comfort and security in walking the well-lit streets of Jerusalem, the Dead Sea, and Tel Aviv, even in solitude, as the cities were constantly bustling with seemingly happy people. I also felt very welcome in the Israeli-Arab community of the Bedouins with their tremendous hospitality. Most importantly, as an introverted (sometimes shy) individual, what I admired most about the culture was the Israeli chutzpah and is truly something I desperately want to emulate. Being direct without being rude, and accepting failure as a mere opportunity to try again, were great ingredients to creating successful startups – IMHO, these were the trip’s prized exposure that were extremely relevant for people seriously considering taking their Lab 2 Market ideas to the next level. The Old City of Jerusalem was exactly how I imagined it to be and so much more. But there were a lot of unexpected and pleasant surprises I found along the way, such as the hotel’s proximity to the Dead Sea; the late night solo walks (I’m scared of everything, especially people); the visit to Nahalal and the Necropolis of Bet She’arim; and crawling inside what was purported to be Jesus’ tomb. I’ve always found Mediterranean food to be too healthy. Yet, in Israel, I’ve never had such decadent and generous spread of courses, only to find that the amount of good food I ate were only appetizers. Both the welcome and farewell dinners were something I want to be able to find in San Diego. I’d even drive to LA or fly to San Francisco if I could find something up to par with the authentic Israeli dishes we had. There was never a shortage of food, even for vegetarians like Dipixa or people with food allergies, there was always a succulent dish to be had. The Gneezys always know how to do things right. Negotiations weekend was perhaps the most memorable part of my Rady experience, but Israel Immersion now takes the cake. Whether the class is with Ayelet or Uri, I somehow always come out far richer and more knowledgeable than I actually think I am. What they teach is beyond the concepts of the class – it is the overall experience that makes one feel whole. It’s as if prior to participating in their classes, you don’t even realize that something is missing from your life until you leave the class extremely fulfilled. I, for one, have learned invaluable social, professional, and life skills from both of them, which I carry with me wherever I go. I do believe that students are terribly missing out if they leave Rady without participating in the USIC Israel Immersion Program. In hindsight, I probably would have enjoyed this trip a lot more had I shared this experience with Pete or Abby. As an alum, though, I’m fortunate to be given another chance. I am definitely grateful for the opportunity to relive the Rady experience and expand my network outside of my tight-knit FE14. The best part? I got to be nostalgic without having to worry about grades. So is it possible to fall in love with a country you have not been to? As Ayelet said prior to the trip, I will be even more in love with Israel after I visit. She was not wrong. I’m already trying to find a way to convince my boss if I can work remotely for 3-6 months from Israel. Our VPN firewall rules do not allow network access outside of the U.S., so this will be challenging, but as I’ve learned from Uri, it does not hurt to negotiate and ask for anything. After all, I’m still קינדסומ תשפחמ. As for my concerns that this group may not be as fun, I think Rady has a knack for putting together an eclectic mix of people. One is bound to find lifelong friends even in a short, week-long intensive period of time. Dipixa, Ben, and I have already maintained a group chat and are planning to hike and brunch regularly like basic sabiches. I can’t wait to be part of their future milestones just as I have with my Gossip Girls. Earning an MBA from the Rady School of Management was another accomplishment on Mariana Melcón’s (MBA ’14) long list of academic and professional achievements. Boasting a resume that includes a Ph.D. in Animal Physiology, publications in top academic journals and research experience in world-renowned laboratories, Melcón is well-versed in what it means to be a dedicated scientist. As an expert in bioacoustics, Melcón studies the way sounds affect underwater ecosystems. Though her academic career was thriving, she knew her impact in the field could be more significant with a background in business. Within her first few weeks at the Rady School, Melcón immersed herself in a number of activities and organizations during her time at the Rady School, taking advantage of the wealth of opportunities to learn and grow. She interned as a marketing consultant at a small digital marketing company, and served as a business development for Sense4Baby, an innovative fetal monitoring system for expecting mothers. She also took a teaching assistant role, assisting with the Quantitative Analysis, Operations Strategy and Architecture-Based Enterprise Systems Engineering courses offered at both the Rady School and Jacobs School of Engineering. Despite diving head-first into the business world, Melcón couldn’t shake her passion for research, so she joined the Life Science Club. “I joined the Life Science Club because I figured it would be an excellent opportunity to combine my new-found interest for data-driven analytics with my love of science,” she said. With a more generalized love for data analytics, Melcón decided to take on a new career path. 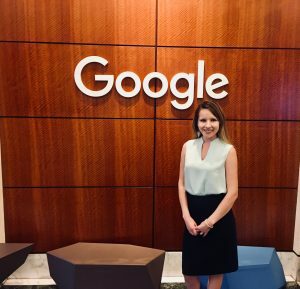 She leveraged her Rady School network and was offered a Pricing Analytics Manager position HP Inc., and has been flourishing in her career ever since. Though her full-time job kept her busy, Melcón still found the time to volunteer her expertise serving as advisor and consultant for Argentina-based cetacean (whales and dolphins) conservation foundation Fundación Cethus. 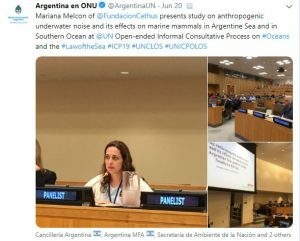 This summer, her scientific and business worlds collided when she was invited to the United Nations to serve as a panelist for the Nineteenth meeting of the United Nations Open-ended Informal Consultative Process on Oceans and the Law of the Sea. Serving as an expert on bioacoustics and underwater noise, Melcón was called to share her experience and knowledge on “Cooperation and coordination in addressing anthropogenic underwater noise”. In this session she shared her story on how she was able to start from scratch in a developing country to get equipment, train human resources and build an international network that made it possible to be leading bioacoustics research on cetaceans in South America, and addressing important issues such as impact of noise on these animals. Presenting her research on the world’s stage was a dream come true for Melcón. In addition to sharing her research in bioacoustics, she was able to make a case for cross-country collaborations and the benefits of working with scientists from developing nations to accomplish global sustainability and nature preservation goals. 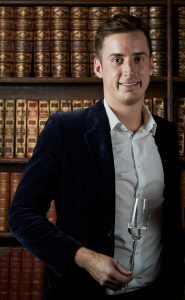 Robin Clough (MBA ’14) is the co-founder and CEO of Tequila Enemigo, a luxury tequila company that has won 5x Double Gold Awards across three continents within one year, and is now served at some of the world’s best venues, including The Ritz Hotel and Annabel’s. “We initially launched in London in September 2017 to surprising critical acclaim — earning accolades from Forbes, Business Insider and CNN — culminating in our launch in NYC in November,” Clough said. 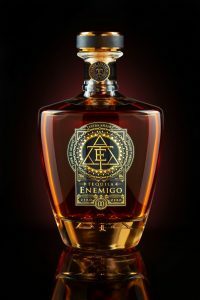 Enemigo’s award-winning Tequilas are now available in store in NYC at the prestigious Park Avenue Liquor and online nationwide at www.parkaveliquor.com. The company also released an exclusive first edition bottle only available in the United States. Clough was part of the Rady Full-Time class 2014, and while at Rady he was part of the Entrepreneurship and Venture Capital clubs. First and foremost, I met my co-founder Sebastian Gonzalez (MBA ’14) at Rady, and together we built what Tequila Enemigo is today. For me, Rady was a slightly different experience to most. I arrived as a 23-year-old straight after graduating from college in London. I left Rady jumping straight into a product management role at Hewlett Packard leading an eight person software development team and with the foundation of a future successful luxury company already in motion. 2) Has your Rady MBA enabled you to change industries or functional areas or even achieve a promotion? I decided to pursue an MBA at Rady because I knew that starting my own company was what I wanted to do and it felt like the best way to develop the cross-functional foundational skills needed. I quickly realized that product management at a tech company was the perfect next step toward entrepreneurship while our Tequilas would be aging. My class had other students who were directly looking for similar roles and as most were years ahead of me, I had an instant step up in knowledge seeing how they went about developing their skills. 3) What event or realization served as a ‘turning point’ for you during your Rady School and/or professional career? The biggest moment happened a few years after graduating from Rady where I took a step back from product management and worked out what drove me. By this time Enemigo had already begun and our Tequilas were about to come out of the barrel, I quickly confirmed that Tequila Enemigo was my full next step and that I was finally ready. I am the youngest founder of an international luxury liquor brand. I got accepted into Rady five days before term started, after completing my full GMAT prep and test in the 3 weeks prior. 5) What is the most memorable moment from your Rady School experience? From a professional standpoint, it has to be the first term progression. Still jet-lagged, I naively walked into the class on day one surrounded by experienced, mostly mature classmates, leagues ahead of me career-wise, and left at the end of the first semester 100-times ahead of where I started. From a personal standpoint, I have worked with many of my classmates and close friends after Rady. Peter Butler (MBA ’14) and I were product managers at HP on the same team, which was run by Rady alum Aron Tremble (MBA ’07), and Sebastian is my co-founder for Enemigo. All the times we had brainstorming different projects, trips to Mexico and skiing in Tahoe enjoyed with a glass of Enemigo — those are the best moments. 6) How have you applied your studies to your career? The biggest things I still reflect back on are the case studies — I still draw on scenarios from On Amir’s marketing class, Operations, Accounting, and Corporate Finance. Often times at business school, there is extreme pressure to be involved with every part of what’s going on, be in as many clubs etc — I would argue that your number one goal is to work out what you want to do after you graduate, and then really focus in on what the school and clubs can do to help you achieve that. There is at times a lot of class work, but also a lot of free time too — the most successful people in our class now were the ones who used their free time wisely. A national conference focused on investing in the senior housing market is not something that sounds too familiar with Rady MBA students. To the FlexWeekend ‘19 cohort, the seemingly unlikely connection all started from the Lab to Market program last spring when students were taught to create business ideas through unfair advantages identified during their career experiences. One of the many business ideas presented to Professor Vish Krishnan at the end of the course was about an autonomous health monitoring system for elderly people. For Lijun Liu and I, this was just the beginning phase of a great learning experience on entrepreneurship at the Rady School of Management. While continuing the research on the senior care market, we got connected with Paul Mullin, Senior VP of Silverado Care, who then introduced us to Chuck Harry, Chief of Research and Analytics at the National Investment Center for Seniors Housing & Care (NIC). Through scholarships offered by NIC, both Lijun and I attended the organization’s annual Fall conference in Chicago, along with 17 other students from 12 prestigious academic institutes, including Columbia, Cornell and the University of Wisconsin. NIC is a nonprofit organization that supports housing access and choice for America’s seniors by providing data, analytics and connections that bring together investors and providers in all phases of senior care. The original goal we had was to learn about the senior housing and care market through the conference. We were interested in attending some of the educational presentations and panel discussions regarding senior housing and care and were hoping to secure some networking opportunities. As we found out later on, this conference is a huge platform for business engagement, negotiation and transactions in the senior housing and care market. The attendees are typically investors, bankers, insurance agencies and senior housing developers. Hundreds of business deals are made during the three days of the NIC conference. This year, there were 3,125 attendees, making it the largest conference in NIC history. The first day of NIC officially began at noon, so that morning was dedicated to networking. Lijun connected with Axel from Kisco Senior care, which we will be visiting one of their communities by the end of November to get more first-hand knowledge. Using LinkedIn as a tool, I broke the ice with two people from USI Insurance. Charlie and Richard answered questions regarding insurance coverage for senior care. Then I met with Dee Bangerter, CEO of Rocky Mountain Care. Dee is a long time senior housing developer who has been in this industry for almost 50 years. He shared insights on senior housing design and development, and key areas that make significant differences in clients’ experiences. The NIC is a very well organized conference. The discussion panels consist of people who are true domain experts in different aspects of the senior housing and care industry. We attended a few sessions in the afternoon and found that the level of knowledge from the panelists was very professional and insightful. For the students who attended the conference through the scholarship program, NIC also held a networking session during a lunch gathering. Later in the evening, we attended a happy hour organized by NIC. Lijun spoke with attendees about the Rady School Lab to Market program, including Lisa Marsh Ryerson, who is the president of AARP Foundation and a speaker in the NIC talk program. I also had a great time talking with Bill Kauffman who is the Senior Principal of NIC and a panelist in the “What Is It Really Worth?” panel discussion. The keynote speech on the second day was the highlight of the conference. Former chief economy advisor Gary Cohn was hosted by Steve Liesman from CNBC on the topic of macro economy and future outlook. Gary shared a wide spectrum of his wisdom and vision with a great sense of humor. He covered a variety of topics, including the market, trades, Trump administration economic policies, tax cuts, deficits, wages and more. Lijun and I left NIC with a wealth of knowledge on the senior housing and care industry, as well as the market condition on senior housing investment. The networking capacity of the conference connections built through this experience was well beyond our imagination and expectations. We really want to congratulate Chuck and the NIC organization for the great successful conference and appreciate the opportunity for the fantastic experience that we went through. 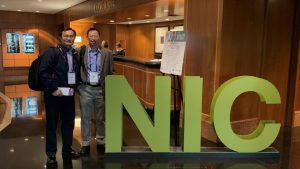 The next NIC conference will take place in February 2019, right here in sunny San Diego. The Rady School of Management immediately stood out to me as the top choice among business schools in the US. I was drawn here because of the school’s focus on entrepreneurship, as I myself have been an entrepreneur for the last six years. I am now a second year FlexEvening Student graduating in March 2020. While going through my classes, I’ve realized that there’s so much to learn from big companies, especially those that value entrepreneurship within their organizations. As I transition away from my first company, I’m looking for opportunities within mid- to large-sized corporations that would suit my skill set and give me the opportunity to contribute to a team. The Bay Area Trek felt like the perfect opportunity to take the first step in that direction. 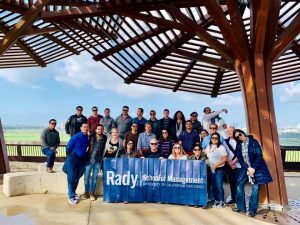 The Rady Graduate Career Connections organized the Bay Area Trek, arranging visits with dozens of incredible companies, including many Fortune 500 companies. The team sent out a survey where students each allocated 100 points to the various visits they’d like to attend. I chose to visit PayPal, LinkedIn, and Google San Francisco. There was a Bay Area Trek prep meeting about a week before the trip where logistics and etiquette were addressed. Each student also received detailed information and contacts for each company, along with a student point of contact for each visit. Every detail was covered for us; all we had to do was get ourselves over to each location! My first stop was PayPal, where we were greeted by Megan Harvey, university programs manager. After getting proper security badges, we were given a warm welcome by Jim Van Over, experiential marketing & innovation specialist, who guided our group through an interactive experience that PayPal calls its Innovation Showcase. PayPal’s mission is to “democratize financial services, and serve the underserved,” and Jim showed us several ways that they’re implementing that mission in data security, risk management, products, and services. We then got to hear from a panel led by Mike Todasco, director of innovation. He and his team talked about their culture of innovation that extends across this global company, and how PayPal works worldwide to enable billions of safe payments without being a bank. Next I headed over to LinkedIn. 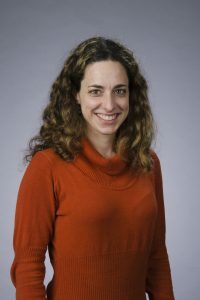 I had the pleasure of carpooling with Rady’s outgoing director of Rady Graduate Career Connections, Terra Saltzman-Baker. It was interesting finding our way to our destination because there are about a dozen buildings in one small cluster that all belong to LinkedIn! We observed what looked like LinkedIn’s own little universe complete with bikes, helmets, and umbrellas at the entrance of each building. As soon as we walked in we were greeted by Rady Alum, Anindita Gupta, who is a principal product manager at LinkedIn. I really enjoyed this visit! After leaving LinkedIn we made our way to the Rady Alumni Mixer at Porterhouse in San Mateo. We were greeted by Yvonne Wu and the rest of the Rady careers team that traveled to the Bay Area. This hosted event was one of the highlights of the Trek experience. I got to reconnect with several recent alumni that I got to know over the first year of my MBA. 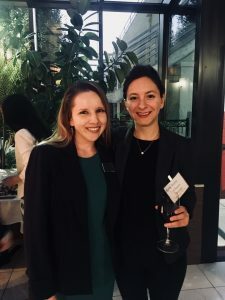 It was fun to see Chiara Dorigo, who is currently an associate at Schaffer & Combs, and the inaugural president of the Women of Rady. I also got to meet other alumni who all had the inspiration to pass on from their post-graduate journeys at venture capital firms or companies like Gap and Tesla. The following afternoon I went to Google San Francisco, which was the best way to wrap up this experience. While PayPal and LinkedIn had huge campuses with multiple buildings, this Google location was near downtown San Francisco within a larger building that overlooked the Bay Bridge. There are several other large companies like Amazon located within a short walking distance from Google. Our group was greeted by panelists and UC San Diego alumni, Philip Jia and William Lee, along with UC Berkeley Alum Shahed Sajadieh, all of whom happily shared their stories about how they became “Googlers”. After learning more about Google’s hiring process, company culture and team values, we were guided through the most amazing tour that included a plethora of fun, open, and lively, yet quiet workplaces that were ripe with enthusiasm from the hundreds of employees we encountered. The creativity of this firm was palpable. Each conference room has a fun name and each floor has a theme. Of all three companies that I visited, this one was my favorite! I’m incredibly grateful for the experience that the Rady School of Management curated for me and my fellow students. I can now say I have a good idea of what life in the Bay Area would be like for a Rady MBA. I’ve gained some clarity for my own job search and made such wonderful connections with both current students and alumni. I appreciate that I’ll have a Rady network, almost anywhere I choose to go! Making the decision to pursue an MBA degree is no easy feat. There are a number of intricacies to consider before determining which program is worth the commitment. For Julian Ames (MBA ’20), his decision was made easy – it was a choice to continue his father’s legacy in his favorite city. Originally from Washington D.C., Julian earned a psychology degree from the University of Vermont. After graduation, he worked as a youth counselor, personal trainer and in the sales and digital marketing sectors. While he found success in his position, he knew that in order to move up in his career, obtaining an MBA from a prestigious university was the logical next step. Whenever Julian sought advice, he turned to his father Brian. An accomplished entrepreneur and economist, Brian was a graduate of Harvard Business School who emphasized the importance of hard work and education in Julian’ life. Brian was born and raised in La Mesa, a city within San Diego’s city limits, and spent a number of summers visiting his beloved hometown with his family in tow for vacation. The first time Julian stepped onto the warm sands of Mission Beach, he pledged to find a way to return to San Diego for good. 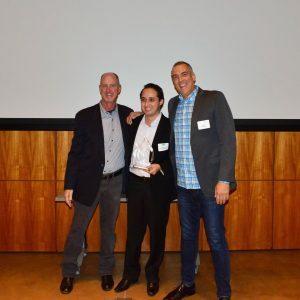 Julian and Brian devised a plan to make that dream a reality – Brian would retire and pursue entrepreneurial efforts, and Julian would apply for the MBA program at the Rady School of Management. In addition to its proximity to the beach, Julian was drawn to the Rady School for its unique approach to business school. Although the school presents opportunities for students to connect with top-tier companies, Julian appreciated the emphasis on innovation and entrepreneurship – traits his father asserted were imperative to his success in the business world. In July of 2016, Brian was diagnosed with a glioblastoma brain tumor. Despite his uncertain future and a schedule jam-packed with doctor’s appointments, surgeries and treatment plans, Julian and Brian made the decision to soldier on with the plan. And then the acceptance letter came – Julian was accepted into the Rady School of Management Full-Time MBA program. Soon after Julian received his acceptance, Brian’s condition took a turn for the worse. Julian chose to defer his acceptance to the Rady School and leave work to spend time with Brian. Brian passed away on December 21, 2017. 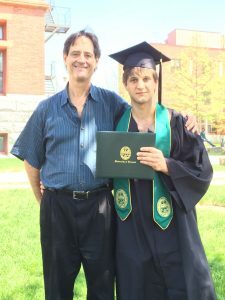 Confronting grief while pursuing an advanced degree is not an endeavor for the faint of heart, but Julian finds strength channeling his father’s spirit – in perseverance, determination and positivity. Julian embraces his father in all aspects of his life, applying his work ethic to his schoolwork, jobs, fitness and entrepreneurial efforts. 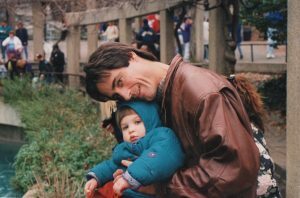 He looks to the advice – both solicited and unsolicited – that his father bestowed upon him in times of uncertainty and to find strength in facing challenges. But when asked about his decision to attend the Rady School of Management, Julian is confident he made the right choice. As he approached the midpoint of his first quarter, he reflected on the facets of Rady that attracted him to the school in the first place. While Julian is interested in pursuing a number of career options – such as product development, large-scale marketing and even developing his own fitness resort — he is excited to explore the entrepreneurial opportunities, with prospective company ideas abound. To say Julian has hit the ground running would be an understatement. He has already leveraged the Rady Alumni Network, reaching out to alumni to connect with potential internship opportunities, is signing up for career fairs, making friends with his cohort and reaching out to faculty — all things he believes his Dad would have suggested.